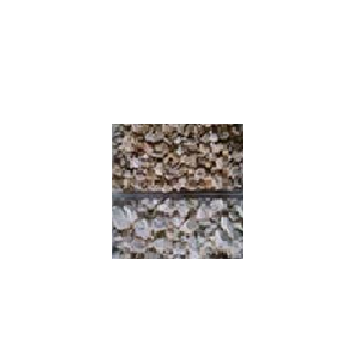 We offer high quality range of Lightly Calcined Magnesite. These are produced by sintering raw magnesite shaft kiln at a controlled temperature 1100 degree centigrade by using furnace oil. These are chemically reactive material. We offer our range at market leading prices. Guha Minerals was formed in the year 1980 by Mr. P K Natarajan. We are supplier, manufacturer, exporter and trader of Granite Blocks & Slabs, Quartz Minerals, Feldspar Minerals, Mica Products, Minerals & Ores, Ceramic Raw Materials and Bauxite Minerals. We are a professionally qualified company, we have been a profitable organization since inception with its key focus o quality. We have a superior network of technically qualified and skilled personnel having their own mines and quarries and also possess rich experience and thorough knowledge in mining operations. We are an export oriented organization, which exports industrial minerals and ores across the globe. We have our happy customers at Malaysia, Singapore, Japan, Vietnam., Turkey, Taiwan, Germany, Italy, UAE, Saudi Arabia and USA. We also provides consultancy for mining operators from prospecting, exploration till implementation. We operate our own mines and also have tie up arrangements with mine owners for specific minerals. We have also played active role as intermediary between the sellers and the buyers of Iron Ore, Bauxite and other mines in India. The quality of execution, maintaining delivery schedules keeps us in a strong and enviable position in the presence of strong commercial groups. We are focused on achieving consistent growth, while maintaining our standard of excellence to continue our success in India and other countries, to ensure the best and updated business practices to benefit our customers and buyers. All the products we exported are in accordance with the customer expectation and well known for its high quality standard.